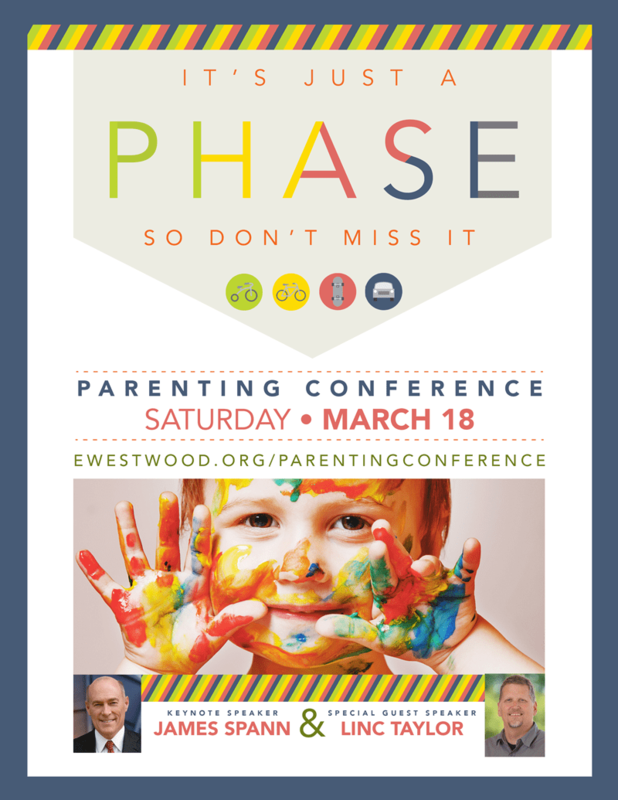 Saturday, March 18, 2017, Westwood Baptist Church will host a parenting conference called, “It’s Just A Phase, so Don’t Miss It.”. Registration begins at 8:30AM and the opening session with keynote speaker James Spann begins at 9:00AM. The conference will cover topics for parents of children from birth through college and will conclude at 2:30PM. The cost is $25 couple/$15 single, childcare is available for children ages 6 weeks through grade 6. Lunch will be provided for all.